Peas are the predominant export crop in world trade and represent an estimated 40% of the total trade in pulses. 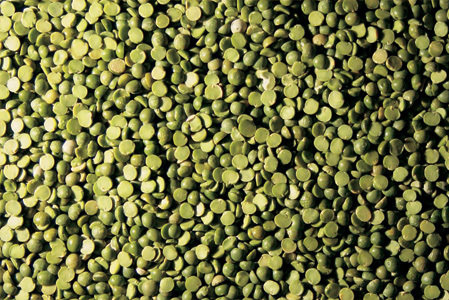 Canada, the United States, and the European Economic Community are the three largest exporters of peas in the world. Peas are among the four most cultivated legumes next to soybeans, groundnuts and beans. Peas are cultivated for the fresh green seeds, tender green pods, dried seeds, and foliage. Green peas are eaten cooked as a vegetable, canned or frozen while ripe. Dry peas are used whole or made into flour. 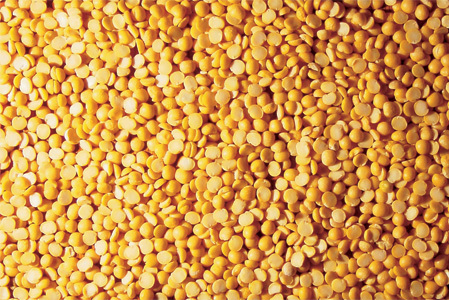 Insome parts of the world, dry peas (green or yellow) are consumed split as dal. 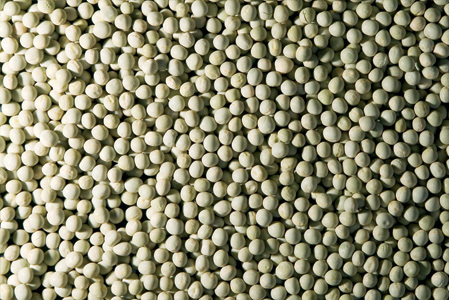 In China, yellow peas are soaked to extract starch for the production of vermicelli noodles. The pea dates back to the Neolithic era, where it was grown in the area of modern-day Syria, Turkey and Jordan. Peas are now grown across Europe, North America and Australia and are a staple food around the world. Dried peas, a small but nutritionally mighty member of the legume family, are a very good source of cholesterol-lowering fibre. Not only can dried peas help lower cholesterol, they are also of special benefit inmanaging blood-sugar disorders since their high fibre content prevents blood sugar levels from rising rapidly after a meal. 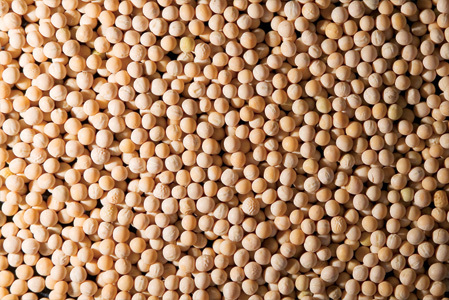 Fibre is not all that dried peas have to offer: dried peas also provide good-to-excellent amounts of four important minerals, two B-vitamins and protein—all with virtually no fat. As if this weren't enough, dried peas also feature isoflavones (notably daidzein), phytonutrients that can act like weak oestrogens in the body. Dietary consumption of isoflavones has been linked to a reduced risk of certain health conditions, including breast and prostate cancer.